As part of the partnership, students will begin their studies at Spelman. 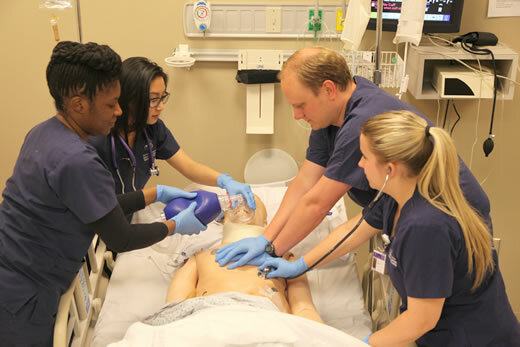 Upon completion of a three-year-program, students will then enroll at Emory for a two-year track that culminates with a Bachelor of Arts and a Bachelor of Science in Nursing. Emory University's Nell Hodgson Woodruff School of Nursing, Georgia's top-ranked nursing school, and Spelman College, a leading liberal arts college for African American women, have joined forces to offer a dual degree program that provides Spelman College students the opportunity to obtain a degree in nursing. As part of the partnership, students will begin their studies at Spelman. Upon completion of a three-year-program, students will then enroll at Emory for a two-year track that culminates with a Bachelor of Arts and a Bachelor of Science in Nursing. This approach allows students to attain a full liberal arts experience while completing pre-requisites for Emory University. "We are extremely optimistic about the potential success of this partnership," says Linda McCauley, PhD, RN, FAAN, dean of the Nell Hodgson Woodruff School of Nursing. "We consider it an honor to collaborate with Spelman College as we collectively provide our future nurse leaders with a diverse array of options that meet their educational needs." "We are confident that this is the beginning of a long-standing relationship between the Nell Hodgson Woodruff School of Nursing and Spelman College," says McCauley. "The alignment of our two institutions will yield positive results as we continue to develop innovative approaches to increasing the nursing workforce." "This partnership between Emory and Spelman is critical to our mission—it provides us the opportunity to create a pipeline for educating minority nurses," says Lynell Cadray, associate vice provost for equity and inclusion at Emory. For more information about this program, please contact healthcareers@spelman.edu.